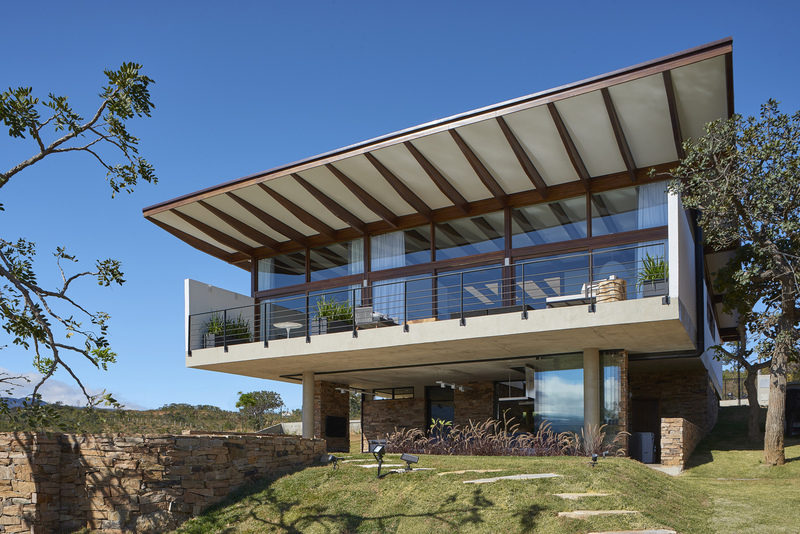 This house set in nature is located in the Serra do Cipó, about 100 km from Belo Horizonte. The land has a native cerrado vegetation, characteristic of the region and a slight slope, which allows an impressive view of the mountains. 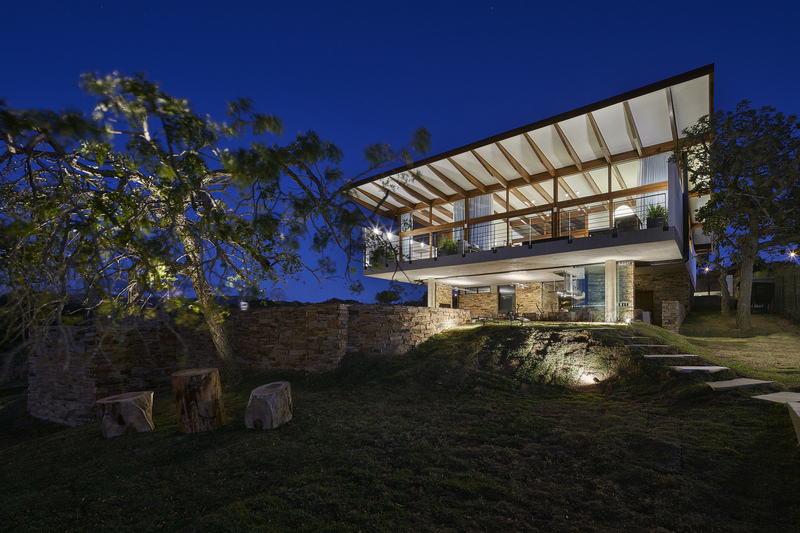 The house is inserted like a horizontal element, loose on ground, and directed to the view. Its implantation takes place in two levels, being in the superior level are located almost all the private spaces and in the bottom are located the spaces destined to the uses of leisure. The main access is through a large void, located on an intermediate level. Through this space one can access the house by a ramp and leisure by a stone stairway that develops smoothly through a garden. In the upper level are located the three bedrooms and the room adjoining the balcony and these are the environments that have the best view of the mountains. In addition, on this floor are the kitchen and a library to house the resident's collection. On the lower level are a gourmet space with a sitting area, atelier, changing rooms, sauna, service spaces and an organic pool. The house was designed in a mixed structure of concrete and wood. The materials are arranged in the volume as if in layers. The four layers are clear: The first is characterized by the stone, which is present in the closures, walls and floors of the leisure spaces and is given as a natural continuity of the material present in the region. The second is the apparent concrete present on the slab between the two levels, on the pillars and on the main ramp to the house. The white masonry of the locks of the upper level is the third layer and contrasts with the others that have dark shades. The fourth layer is the wood present in the frames and the roof structure. This cover is characterized by a glued laminated wood grid, in the form of a butterfly roof, which is apparent in all environments of the upper level.